We seek to encourage our church in reading, studying, and living out Scripture in our daily lives. This study guide is designed to correspond to Sunday’s sermon (January 14th) [Listen Here]. Read through this lesson on your own or with a small group and we recommend you to visit Ranch of Hope. 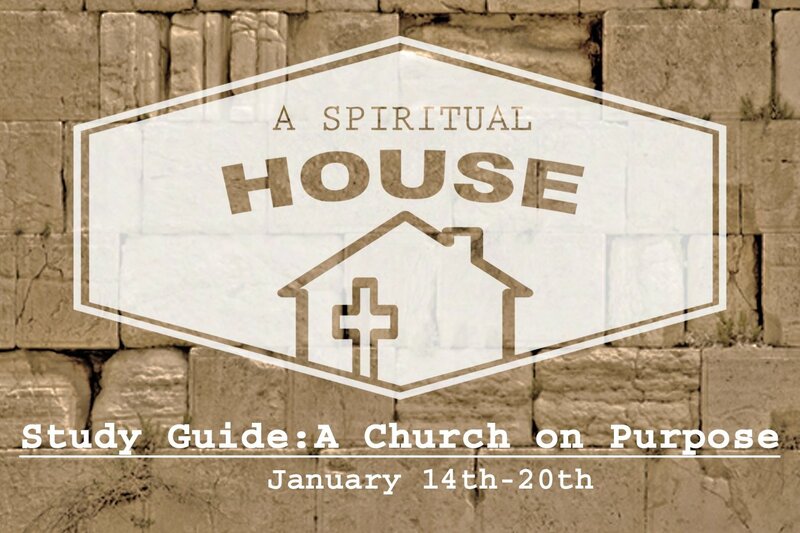 This week, we began a new sermon series entitled “A Spiritual House,” in which we are examining what “church” is truly supposed to be. In our first passage, we will look at what Peter says about what it means to be a spiritual house and who God’s people have been called to be. In the first verse, Peter mentions things that cause dissension between people in the church. Have you ever experienced something like this? What was the result of that strife? This entire passage focuses on the spiritual aspect of what it means to be a Christian, and the importance of God’s people, rather than the buildings, titles, and services we use. What is the danger of viewing the church as a physical place? Peter’s words would have pleased Jesus. He, too, was concerned with the goings on of not just His followers, but also with the actual workings of the temple and made efforts to right the wrongs that were being committed in the courts of the House of God. How does this image of a violent, passionate Jesus clash with the popular image of Jesus we have today? How does the scene in this passage relate to having a pure and spiritual house of God? If Jesus were to attend a church service this Sunday, how do you think he would react? How can the church become a more spiritual house in 2018? How about your own house? Pray for guidance in how to build yourself, your family, and the church into a spiritual house. One that seeks to build each other up and spread the message of God’s kingdom to those who’ve yet to hear it.